Product prices and availability are accurate as of 2019-03-15 19:01:19 UTC and are subject to change. Any price and availability information displayed on http://www.amazon.com/ at the time of purchase will apply to the purchase of this product. 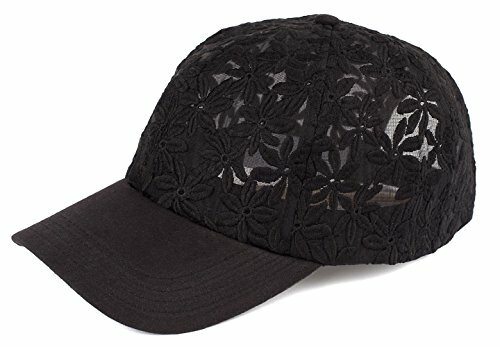 Look adorably sporty in this unique 6 panel daisy baseball cap. 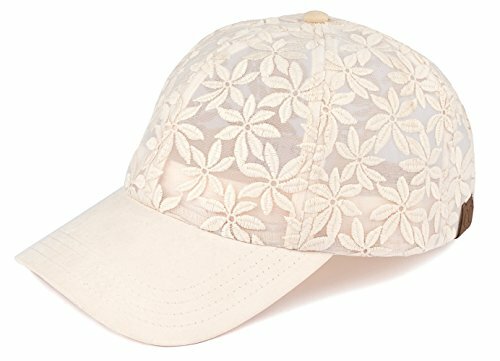 With a sheer base and a cute floral daisy stitching throughout, this will be your new favorite hat. Available in four colors, this breathable cap has an adjustable Velcro closure for custom fit. Perfect to provide some shade on a sunny day, but wear it virtually any time and any way. Centennials, Millennials, Generation X and Baby Boomers will all love this ageless baseball cap. This hat is a prime example of fashion meeting with function. GREAT LOOK: Get ready for a super versatile hat. Make it sporty as you throw on your gym shoes, yoga pants, and crop top, or make it cute with your favorite jeans and t-shirt. This cap will go great with anything including your bathing suit on a sunny summer day! Whether you're wearing it forward or backward, as a cute additional accessory when you're ready to go out, or throwing it on to enhance a bad hair day, this hat will not fail you or your fun style. GREAT FIT: One size fits most. 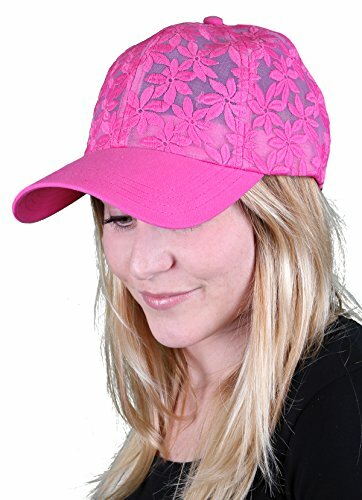 With the Velcro closure, the inner circumference of this hat measures approximately 22 inches, but it can adjust to measure anywhere between 20 and 24 inches, fitting several various head sizes. Brim length is approximately 2.75 inches. Inner crown is lined with a slightly cushioned base, ideal for long term wear. WHEN TO WEAR: This adorable everyday athleisure cap is perfect to wear while doing light exercises such as walking, cycling, frolfing and golfing. This trucker hat is also ideal for attending sporting events, sunbathing at a beach, pool, or lake. Also, fun for boating, camping, music festivals, bomb fires, summer camp, lounging, outdoor events and baseball games to name a few. GREAT QUALITY: 60% polyester, 40% cotton. With a silky soft brim, this hat also a little extra layer of padded cushion on the inner crown, for additional comfort so you can easily wear it all day.